“Detection of throwing in cricket using wearable sensors” has just been accepted for publication in the Journal of Sports Technology, it will be presented at the Australian Sports Technology Network conference, attended by the federal sports minister and is entered into the National IT invention test Dept. of Innovation competition. The ICC has entered the second phase of an agreement with a consortium of high profile Australian cricket, sports science and sports engineering institutions to develop a wearable technology to assess the legality of bowling actions in match and training conditions. ICC is now working with experts to produce a process capable of measuring bowlers’ actions in a match environment. Known as inertial sensors, they employ similar technology to that used in iPads, mobile phones and car crash impact detection systems. It is planned the technology will be light, cost-effective and wearable on the bowler’s arm and will not to hinder performance while still allowing information about the throw like features of an illegal action to be assessed in near real time in both match and training environments. 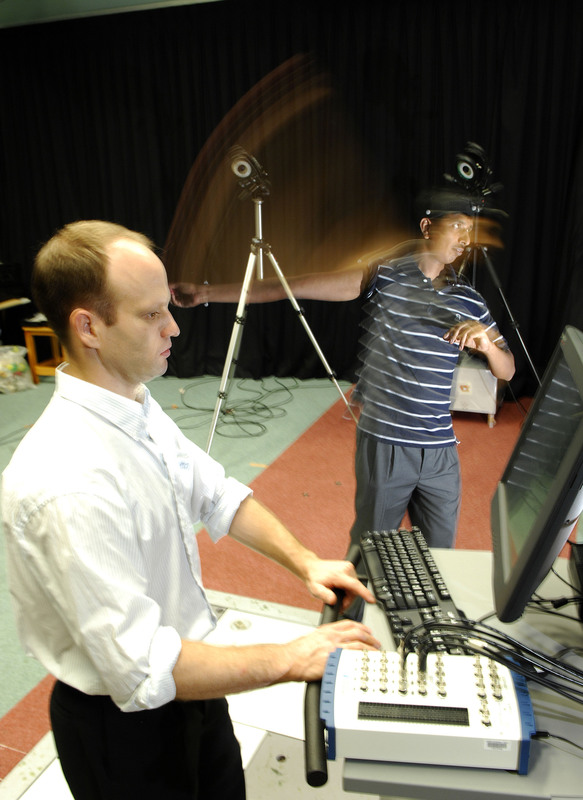 Bowlers who have been reported by umpires with a suspicious illegal bowling action are currently required to attend an ICC approved biomechanics laboratory to assess the amount of elbow extension in their bowling action. The research team comprises sports scientists and engineers from Griffith University’s Centre for Wireless Monitoring and Applications in Brisbane (Engineers Dr. Daniel James and Dr. Andrew Wixted), the Australian Institute of Sport’s Biomechanics department in Canberra (Cricket Biomechanist Mr. Wayne Spratford) and Cricket Australia’s Centre of Excellence in Brisbane. The project is being managed on behalf of the ICC by Praxis Sport Science Pty Ltd, an Australian-based sports science consultancy company headed up by Dr Marc Portus. Dr. Portus was involved with the original research behind the 15-degree tolerance threshold for illegal actions when he worked as a Biomechanist for the Australian Institute of Sport and Cricket Australia. The second phase of the three-phase project will conclude in late 2013 and is concerned with the technology’s measurement methods and precision against current laboratory protocols. In 2014 Phase 3 will focus on making the technology more comfortable for players as well as maximising wireless data transmission and battery life. ICC Chief Executive, David Richardson, said: “The ICC is keen to see this technology implemented in elite cricket and believe it will be a significant stride forward in detecting illegal bowling actions in match conditions. “We would also like to see the technology used in training environments as a tool to help bowlers correct their flawed bowling action.